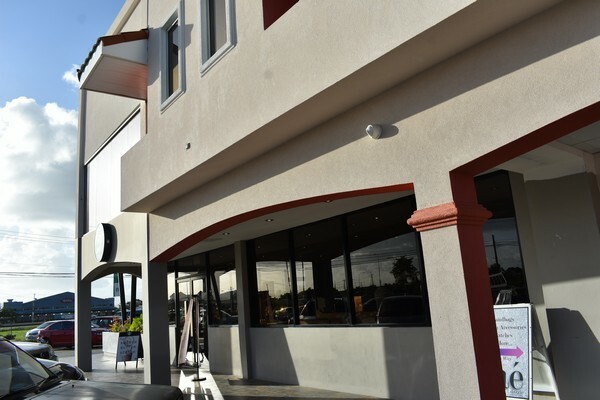 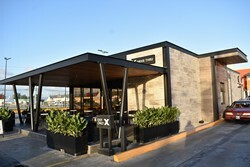 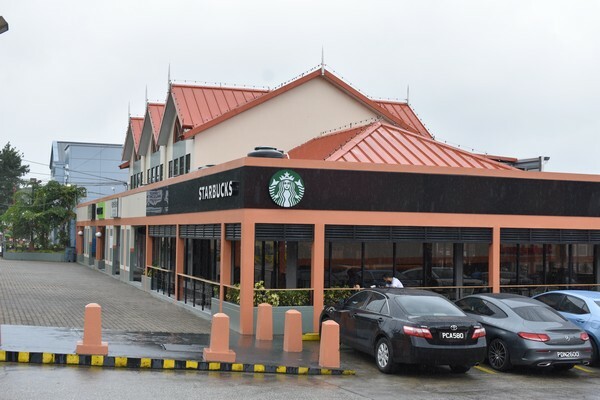 The first drive-thru Starbucks in Trinidad. 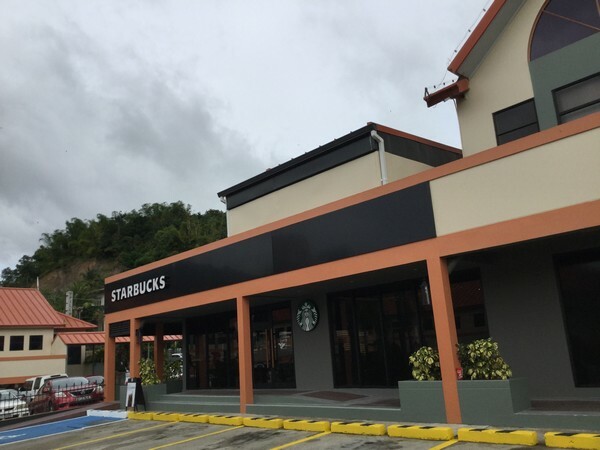 MY FIRST STARBUCKS IN TRINIDAD!!! 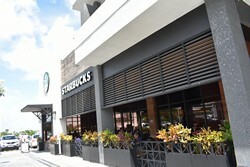 The smallest store in Trinidad thus far, and the first that I saw to be full inside an indoor shopping mall, yet boasting one of the most unique design elements, a pair of walls decoration with wooden siren scales. 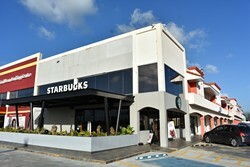 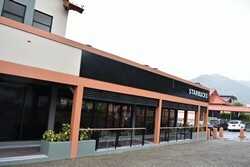 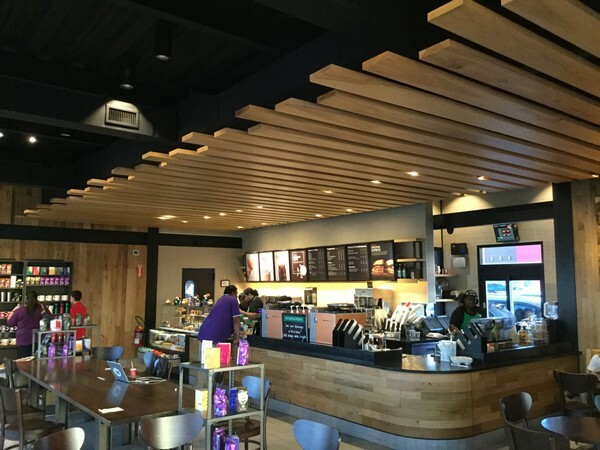 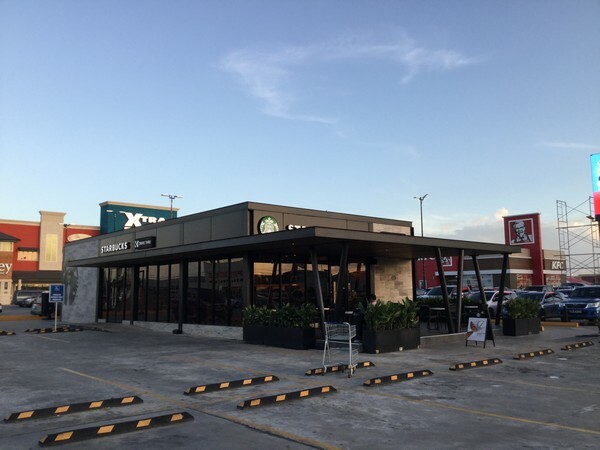 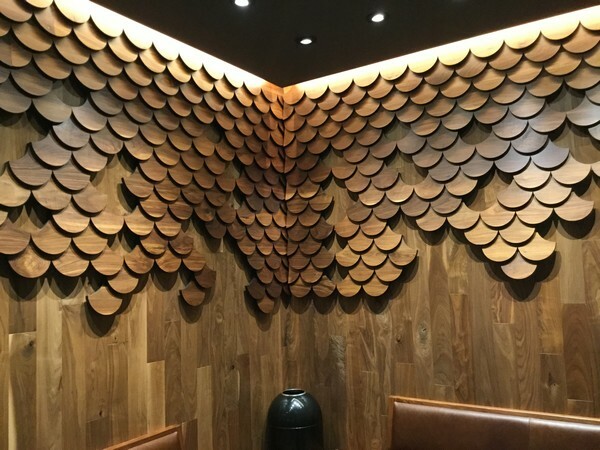 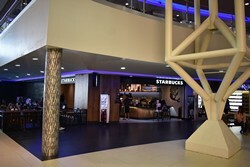 The second Starbucks in Trinidad! 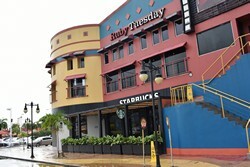 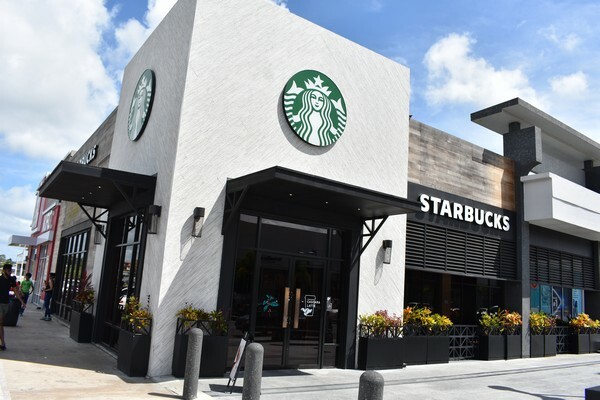 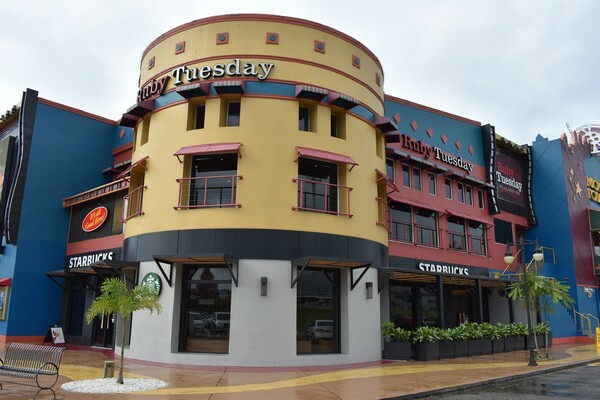 The first Starbucks in Trinidad.